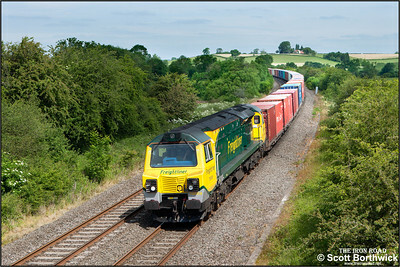 70001 passes Ansty whilst in charge of 4M93 1413 Felixstowe-Lawley Street on 16/06/2010. 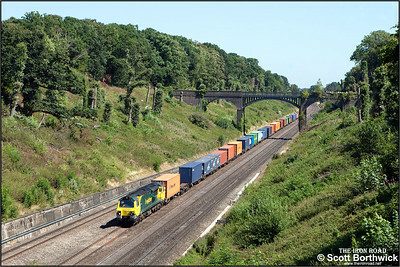 70008 passes Holmes House Farm, Bishops Itchington whilst working 4O54 0612 Leeds FLT-Southampton MCT on 18/06/2015. 70016 passes Ansty whilst working 4M56 1257 London Gateway-Crewe Basford Hall SSN on 18/06/2015. 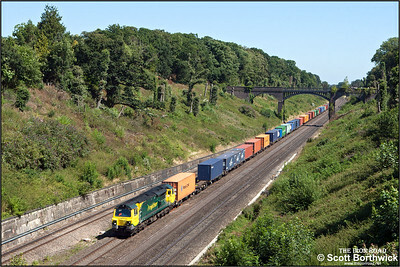 70020 passes through Sonning cutting whilst powering a diverted 4O14 0536 Garston FLT-Southampton MCT on 12/08/2016. The train was diverted via the WCML & the GWML due to engineering work between Didcot & Oxford.